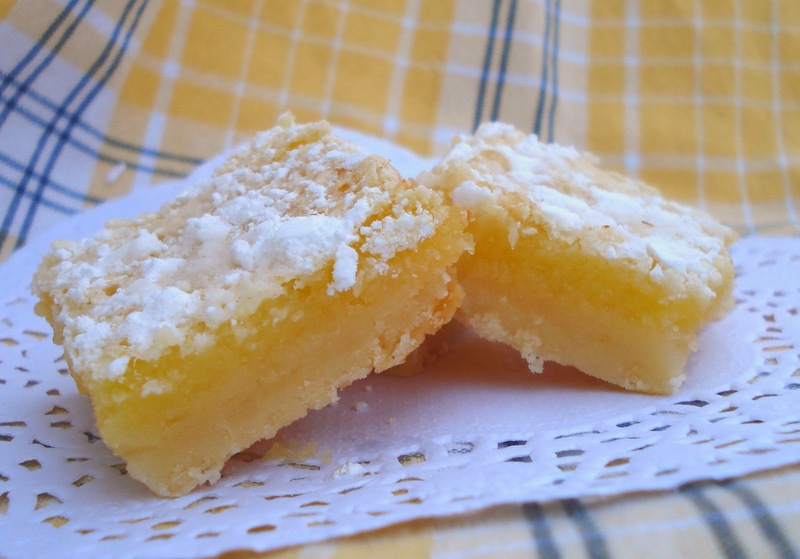 I had lemon bars years ago when I first married the hubs for the 2nd time...yes...I said, "the 2nd time". :o) Our sweet neighbors brought over a plate and I thought they were fabulous. I haven't had them since. I still thought about them off and on, and was hoping i'd get another plate. *lol* I never did, so I thought I'd make them on my own. Oh happy day! I think I found my new favorite dessert. These are awesome. Not too sweet, and I just love the tartness of them. Tastes a lot like a lemon meringue pie. I think I ate 3/4 of the pan myself. I will be making these a lot more often. Sorry if you are trying to be healthy for the New Year. I'm enjoying my last few weeks of eating whatever before the baby gets here, and then it's crunch time...maybe? For the crust, mix the softened butter into the flour and powdered sugar with a pastry cutter until it clings together. Press the mixture into a 13×9″ greased pan. Bake at 350 degrees for 20 – 25 minutes or until lightly golden. For the filling, beat the eggs with a mixer for about 5 minutes until frothy. Add the sugar, lemon zest and lemon juice. In another bowl, sift together flour and baking powder. Stir into the egg mixture. Pour over the baked, warm crust. Bake at 350 degrees for 25 minutes. Cool and sprinkle with powdered sugar. Mmmm... I love lemon bars too! I don't think I've ever had lemon bars, but I love lemon meringue pie so I will have to try them. They look yum!